BioBubble Turtle Vac Aquarium Cleaning Vacuum White,It is the ultimate aquarium-cleaning vacuum. It is the ultimate aquarium-cleaning vacuum. 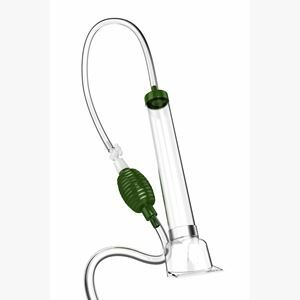 Supports a healthy, clean environment for your pets, oversized gravel sifter for fast, efficient cleaning, clear vacuum body for viewing cleaning progress, tubing connector connects hose to vacuum tube, flexible hose, siphon ball for convenient, fast start siphoning, convenient valve for shut off during cleaning. Perfect for turtle tanks. It is Ideal for aquarium maintenance.